We have one of the largest teams specialising in legal matters relating to the acquisition, disposal, development and operation of national and international ports and terminals. Our team of transactional and dispute resolution lawyers has a wealth of experience, having worked on over 100 port projects in 45 countries around the globe (click here for more information). 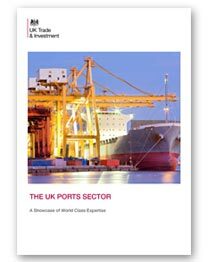 Having worked with organisations involved in ports and terminals for many years, our client base now includes leading global port and terminal operators, international shipping lines, national port authorities, investment funds, governments bodies, harbour and coastal towage companies, transport and logistics companies, supply chain managers, infrastructure support development specialists, civil and maintenance work providers, contractors, consultants, commodities trading companies, banks and financial institutions, and insurance providers. A top-10 container terminal operator on the potential acquisition of Grup Maritim TCB including its terminals in Spain, Turkey, Guatemala, Colombia and Brazil. A leading oil and oil related products storage terminal operator on its €111 million disposal of a 45% stake in two European oil storage subsidiaries to an infrastructure investment fund. On the phased disposal of a majority stake in a leading dry bulk terminal stevedoring company to international commodity interests. An international conglomerate in the participation of a US$240 million grain and multi-purpose terminal in Northern China in joint venture with the local State-owned port authority. The Panama Canal Authority on the development of a new container terminal being built in the Corozal region, part of the wider Panama Canal expansion project. Jersey Harbours on the incorporation of Jersey Airport and Jersey Harbours into a single limited company to be wholly owned by the States of Jersey. An international terminal operator in its bid in connection with the privatisation of the container terminal at Limassol. Abu Dhabi Terminals in connection with the concession for the development, operation and maintenance of Khalifa Port in Abu Dhabi. On the development of the private King Abdullah Port in Saudi Arabia including advising on the concession for the grant of a private port licence to the terminal operator of the new King Abdullah Port in the King Abdullah Economic City. A global terminal operator with its review and revision of the concession agreement for its tender submission for the privatisation of the second container terminal in Mombasa. One of the top global container terminal operators with a comprehensive review and revision of its general terms and conditions of trading for the handling of container ships and cargoes at its worldwide portfolio of port facilities. Insurers in connection with a claim for damage to vehicles that occurred while they were at a port in the Middle East. An insurer in connection with claims being lodged against its insured, a terminal operator in South America, arising from storm damage.